Safety comes first for Susana Reyes. 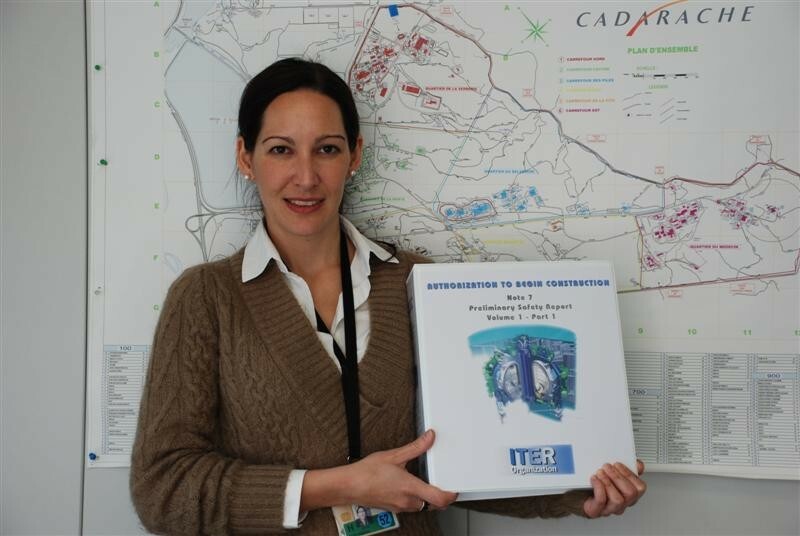 Safety is one of the most important topics for the ITER project and thousands of words have been written about it, including many by Susana Reyes. One of the nine Spaniards working at ITER at the moment, Susana comes from Madrid, where she studied industrial engineering at the Polytechnic, specialising in nuclear engineering. After two years at Lawrence Livermore National Laboratory in the United States as a graduate student doing her PhD she was offered a job in fusion safety. To start with this was work on the "other" sort of fusion — inertial fusion using lasers, but she later transferred into the ITER community working on the Test Blanket Module and finally in 2006 she crossed the Atlantic to come back from the States to Cadarache to take up her current post in the Environment, Safety and Health Section of the Project Office. It's comforting to note that "even in the very unlikely event of a worst-case scenario, the maximum accident dose to the most exposed individual would be below the natural background radiation dose received by that same individual over a year."